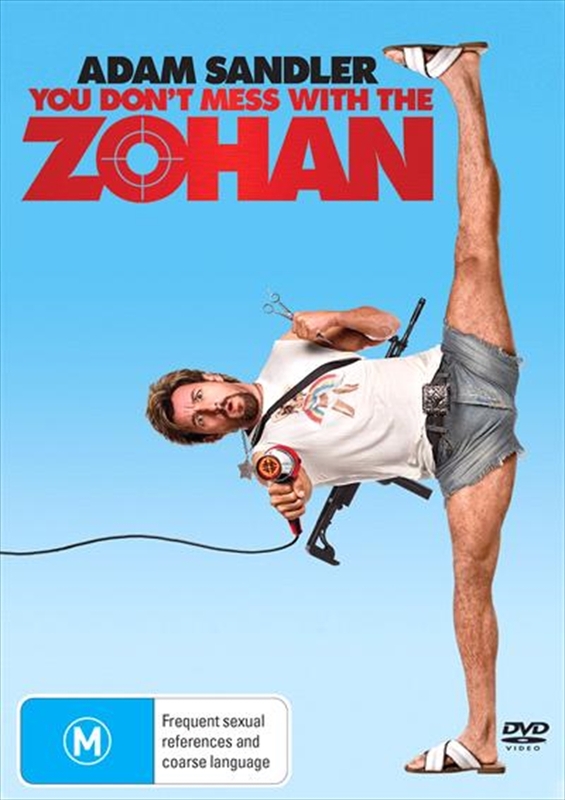 Comedy superstar Adam Sandler is back - and funnier than ever - as The Zohan, the finest counterterrorist agent the Israeli army has. That is, until he fakes his death and travels to Manhattan to live his dream...as a hairdresser. Now this skilled fighting machine who used to clip bad guys is out to prove he can make the cut as a top stylist. All goes silky smooth until his cover is blown when he's recognized by a Palestinian cab driver (Rob Schneider). Now, The Zohan must fight to live a peaceful new life in New York in this razor-sharp action-packed comedy from Adam Sandler, Robert Smigel, Judd Apatow and Dennis Dugan.